Within the world of business, trademarks are typically signs that communicate to consumers that the products and services on offer are from a unique source. They’re often used to differentiate services or products from those of your competitors, and are a sign as to the quality of service your business provides. They can be incredibly important and there are many cases of individuals who have built up a credible reputation for their brand or products, only to find that someone else has registered a similar company name, logo, image or design. In this instance you may have to cease trading under your previous name, harming years of hard work and customer loyalty. Small and medium businesses are at increasing risk from the growing number of individuals who are registering for a trademark with the sole intention of suing a business for trademark infringement. Often they have no intention to run or expand their business, but are using trademark registration as a money making venture by either suing for infringement, or selling back the trademark to the interested party. Businesses can often avoid costly legal fees by registering their trademark at the outset. It provides protection against someone directly copying your products or services. It can help maintain a competitive edge. It enables entrepreneurs to license & franchise a business for continued expansion. If someone infringes on your trademark, you have the option of filing a lawsuit to essentially stop anyone else selling products or services that could be associated with your business. The first step to register a trademark in Italy is an availability research report, this will determine if there are any registered or pending trademark similar to yours. It is not mandatory, but it is highly recommended. This report is done for the word marks only (see below), and for any prior trademarks valid in Italy including national trademarks, international registrations designating Italy or EU and EUTM. The results are provided within 7 days and will also examine both domain and company names. An Italian trademark must be unique and it should also be capable of graphical representation. Under Italian trademark law, a trademark can include words, an image or a combination of both, provided it is not infringing on the rights of any other registered Italian trademark. Words: The holder of the trademark has the exclusive right to use the word with any image. Words and an image: The trademark is protected only for the combination of words and the image filed. Image: The trademark protection applies only to the logo filed. A foreign individual can register a trademark in Italy, but if you want the trademark to be owned by your Italian company, it is mandatory to open an Italian limited liability company or a subsidiary. If you want to set up a company or subsidiary only for the purpose of holding the Italian trademark (with no intentions to trade in Italy), you can opt to use our dormant company services. Accountancy services for the dormant company. A registered address for the dormant company. Annual renewal of the “dormant” status of your company. When the research and trademark selection have been completed, we will need to prepare and file the trademark application. The typical timescale for the registration process is 18 months from the moment of registration. If you own an identical trademark in another country that has been filed within the past 6 months, you can ask for priority in the registration procedure. The trademark you would like to register? How many classes of the Nice International Classification do you require? If you would like to defend the trademark against office action for the classification of goods, objections and/or oppositions. The urgency or timescale required for your trademark registration. A list of goods to be covered using the classes of goods/services from the Nice Classification. The applicant’s name and address & VAT number (for the purpose of issuing the invoice). A letter signed by the director of the company that applies for the trademark registration. Once registered a trademark can apply indefinitely as long as they’re renewed. Trademark registration in Italy lasts 10 years, after which you must renew your trademark registration. Once the trademark has been registered we will obtain the registration certificate and forward this to you. 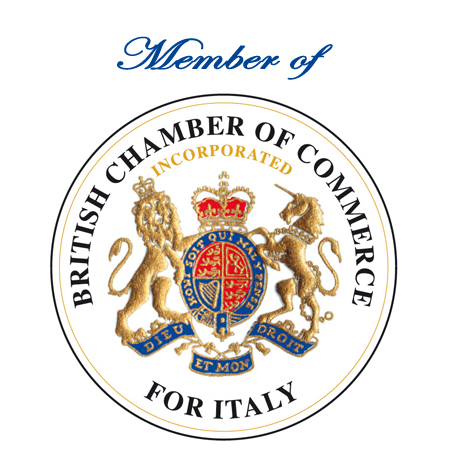 For more information on how to protect your business with a trademark in Italy, please contact info@companiesinitaly.co.uk.